Gerald Stephenson aka, "Hair" or "Jerry", started playing music in grade school playing bass in several rock bands in the early 1970's. 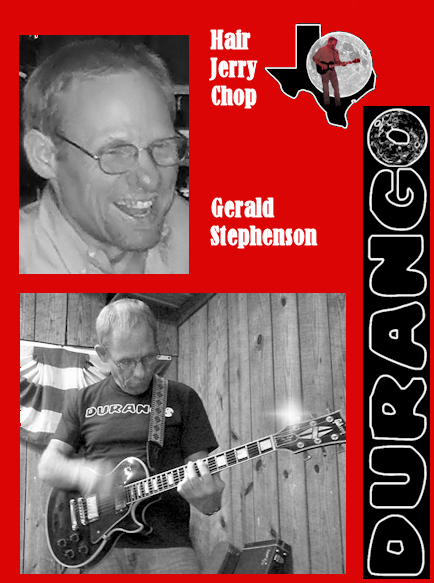 Gerald picked up lead guitar in his 20's and just could not put it down! 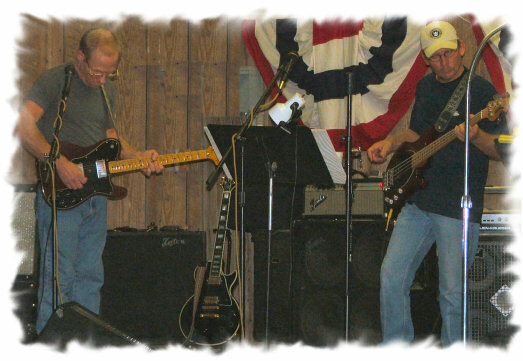 Gerald has played with many musicians across the region and his playing influences range from Grand Funk Railroad, Eric Clapton, Stevie Ray Vaughn, Jemi Hendrix, Lynard Skynard and the Eagles to Merle Haggard and Hank Williams Jr.
Ed plays bass guitar sings backing vocals and lays the musical foundation for the band. 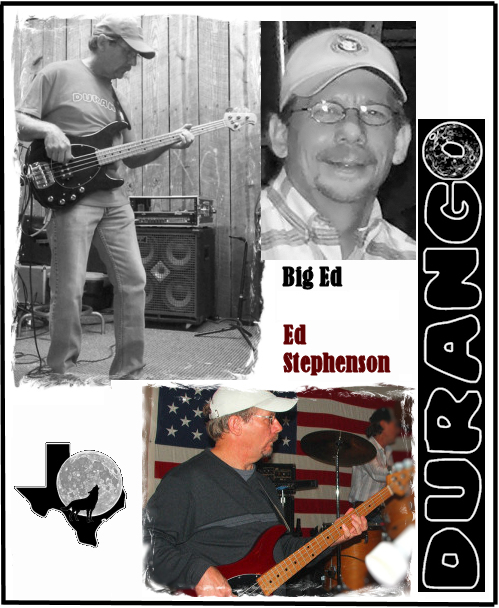 "Big Ed" is the youngest of the three Stephenson boys (Gerald's younger brother) who were born in raised in Avery, Texas. Ed's musical influences vary from Lynard Skynard and Rod Stewart, Grand Funk, Alabama, Rascal Flatts to George Jones and Merle Haggard. Ed started musically on guitar in high school but left it to find his niche on bass after college. 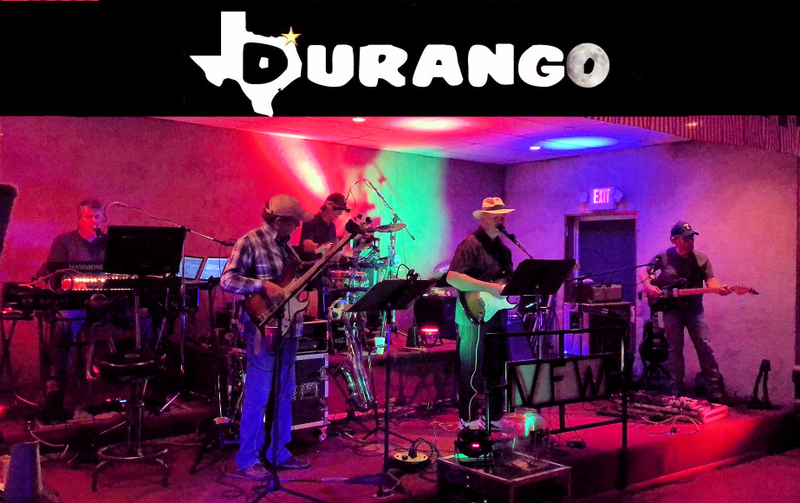 Ed serves as the business manager for the group and takes great satisfaction in a job well done and ensures the management of every club that DURANGO performs an entertaining professional show that keeps patrons coming back. Contact Ed at 903-684-3131 for booking information. 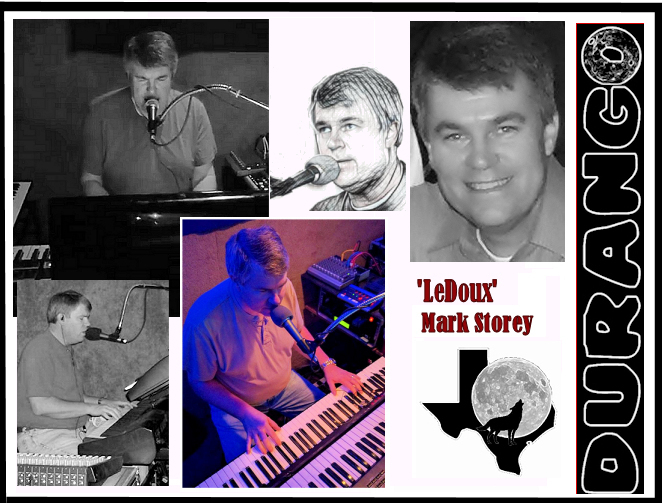 Mark joined the Stephenson brothers shortly after moving to the area from College Station, TX. Mark stepped in a temporary fill-in player in 1986 after the previous keyboard player quit the band... and never left! Mark started playing multi-keyboards in high school while playing trumpet in the school band and jazz ensemble. 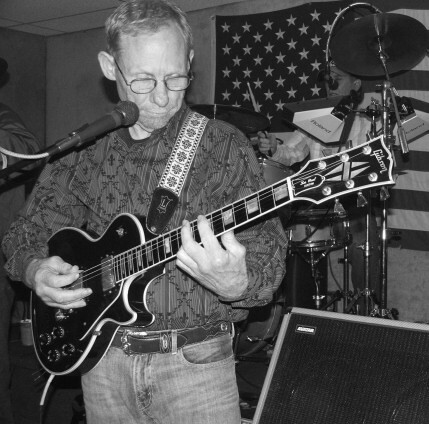 Mark played in several central Texas rock bands during his college days and has never out-grown his obsession with music! Mark's musical influences cover a wide spectrum, from the Eagles, ELP, Genesis, Chicago, Blood Sweat and Tears, Tom Petty, and The Who to modern country legends George Strait, Black Hawk, Restless Heart, Rascal Flatts, Keith Urban, Blake Shelton, and Brooks and Dunn. Mark enjoys doing vocal work as well. Mark doubles as the band's sound technician. 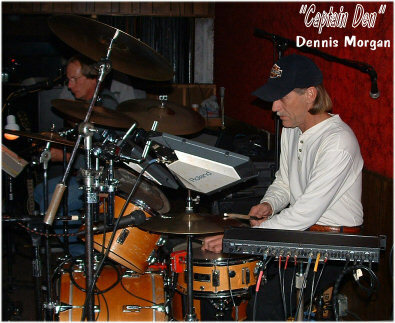 Dennis is an outstanding musician and seasoned versatile drummer / percussionist that has played with many great bands in the NE Texas SW Arkansas region over the past 40+ years. Dennis hails from Hooks, Texas. 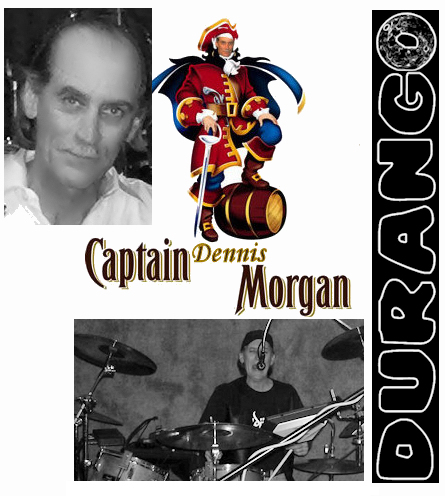 Don't miss "Captain Dennis Morgan".... he will keep your toes tappin' all night long! 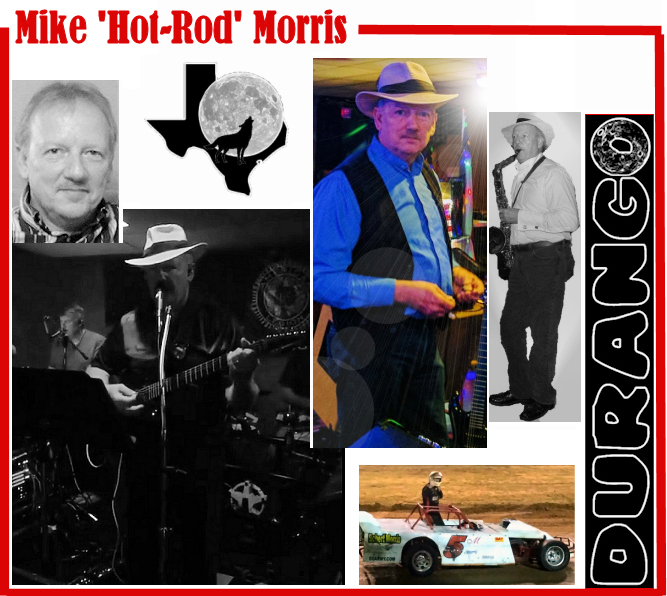 Mike is an excellent vocalist and versitile musician who makes his home in Hooks, Texas. Mike played with the band back in the early 1990's as the groups' drummer and vocalist. Mike enjoys singing lead and harmony vocals and has played with a variety of area musicians over the years. Mike is also an excellent race track driver and lead mechanic having raced on many race tracks across the region with his brother's race team.